Were you around when the mobile phone arrived? At what point did you acquire one? Do you know the difference between a feature phones and a smartphone? 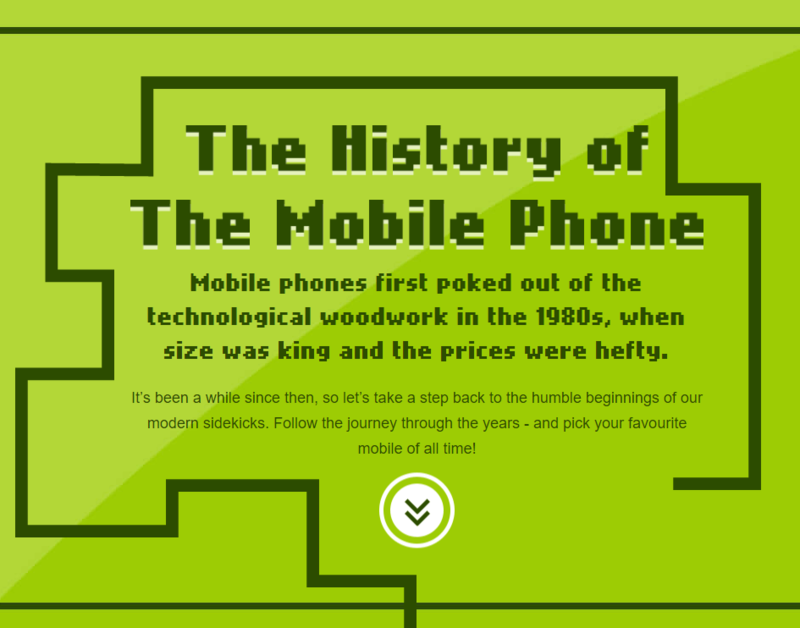 Broadbandchoices have put together a wonderful walk down memory lane in the form of an infographic. Starting in 1983 and wiggling it’s way through Nokia’s and StarTAC, PDAs and Blackberrys, snaking onto the battle of Apple and Android and pulling out the latest and greatest before laying out the the future, the desires and the dreams. Finally asking you to vote for your favourite phone and an opportunity to win and iPhone SE.